HENDERSON, Ky. (AP) — Two people have died in a small plane crash in Kentucky. One pilot is dead and a second pilot is hospitalized following separate plane crashes in North Carolina. KINGSLAND, Texas (AP) — Authorities say two people are dead after a small plane crashed in Texas. FULLERTON, Calif. (AP) — Authorities say the pilot killed in a fiery plane crash at a Southern California airport was heading for Utah. LEBANON, Ind. (AP) — Police say a small plane has crashed at a central Indiana airport, leaving the pilot with injuries that aren't believed to be life-threatening. AUSTIN, Texas (AP) — One man was killed and another was injured critically when their small plane crashed near an airfield in the suburban hills near Austin. CINCINNATI (AP) — Ohio's State Highway Patrol has identified the pilot killed when a small plane crashed into a suburban Cincinnati house. 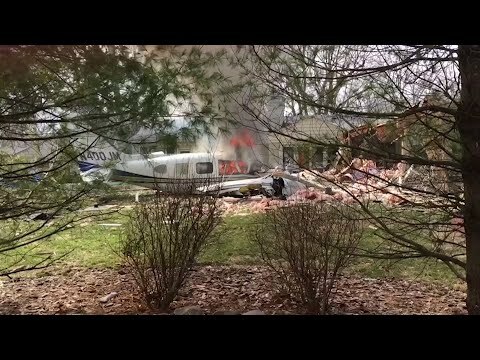 CINCINNATI (AP) — A small plane crashed into a suburban Cincinnati house Tuesday afternoon, killing the pilot and sending dark smoke billowing from the backyard. DENVER (AP) — A Canadian construction executive and environmental activist who lived in Denver is among the 157 people who died in an Ethiopian Airlines jet crash. BENTON, Kan. (AP) — A pilot and passenger walked away with only minor injuries after a small plane crashed into a home in Kansas. PAHOKEE, Fla. (AP) — Authorities say five people are dead after a small plane crashed in Florida's Lake Okeechobee.